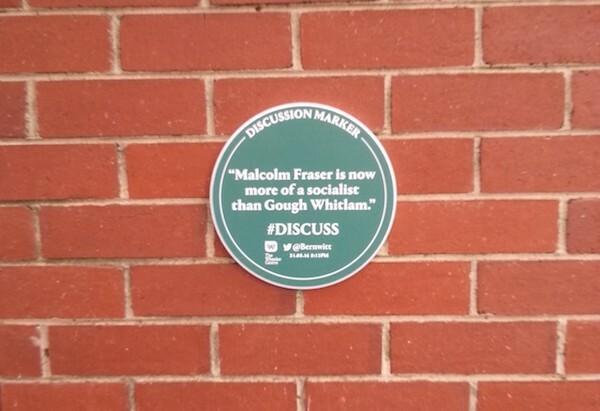 A campaign from The Wheeler Centre, a Melbourne-based centre for writing, ideas and talks, aims to uncover the important topics missing from public discussion by posting online comments into physical places with the hashtag #discuss. 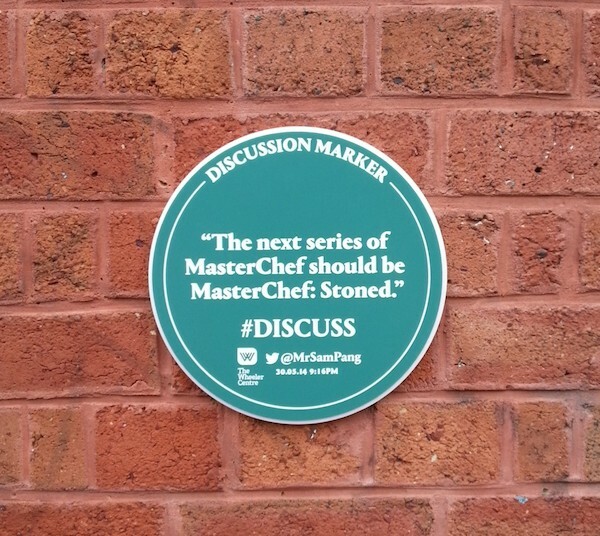 Part guerrilla street art and part New Yorker-style caption contest, the most intriguing and thought-provoking tweets that use the hashtag #discuss will be immortalised as a historical marker and put up on buildings and surfaces throughout Melbourne and its surrounds. “Every politician should have to live for one week with one of their poorest constituents. Even if it’s hell for the constituent. 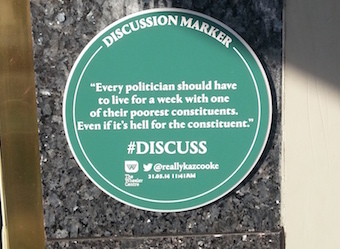 #discuss” by @reallykazcooke, which was stuck on the wall next to local MP Clem Newton Brown’s office. 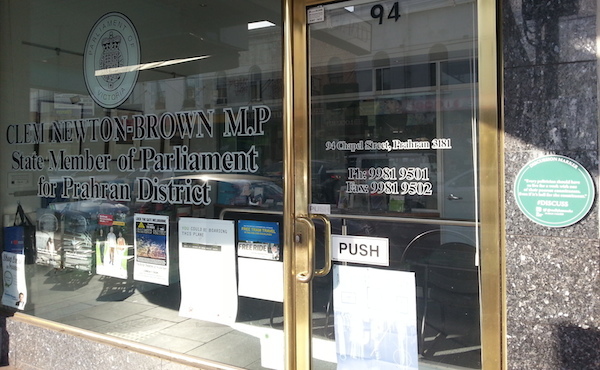 Well known for his social media presence, Newton Brown quickly joined the conversation, bantering back and forth with Kaz Cooke. Head of marketing and communications at the Wheeler Centre, Pauline O’Brien says she is looking forward to seeing what topics rise to the top during the live phase of the project. “Twitter will spark this campaign but it’s people’s reactions that will really set it alight. Turning something as intangible as a tweet into a permanent object means people will be exposed to new questions, ideas and talking points and will in turn discuss them within their own community,” she says. The campaign will run for nine days, with 100 markers produced during that time. It aims to uncover what people want to know more about and what they care about but don’t entirely understand. The campaign runs until Sunday 8 June on Twitter and can be followed through the special #discuss website, discuss.wheelercentre.com and via @wheelercentre.